They call this little town in the Litchfield Hills of Connecticut “Christmas Town” with good reason. Bethlehem’s 33rd annual Christmas Town Festival scheduled for December 6 and 7, is one of New England’s favorite ways to kick off the season. Wherever you turn, special treats are waiting, from the town green to the post office to the Abbey of Regina Laudis and the 1754 Bellamy-Ferriday House, and some of the distinctive attractions continue when the festival is over. Bethlehem’s quaint town green, centered with a giant tree, is offers over 70 vendors with gift items, wreaths and foods for sale, strolling carolers and musicians. Santa is at the firehouse to pose for pictures and everyone is invited to climb aboard for hayrides offered in front of First Church. Collectors can garner this year’s unique limited edition Christmas Town pewter ornament, sold only during the Festival. Bethlehem’s beautiful 18th century Bellamy-Ferriday House & Garden is festively decorated and open for guided tours, hot cider and a scavenger hunt for children (9 Main Street North, www.ctlandmarks.org). Hours for the Christmas Town Festival are Friday, December 6 from 5 p.m. to 10 p.m. and Saturday, December 7, from 10 a.m. to 4 p.m. For more information, see www.christmastownfestival.com or phone 203-266-7510, ext. 300. As you can imagine, the Bethlehem post office is especially busy in December serving the many who come every year to mail holiday cards with the special postmarks. Visitors can select favorites among the “Christmas Cachet” designs, hand-stamp and mail these unique greetings to friends and family. The idea of the special stamps dates to 1938, when a local Postmaster, the late Earl Johnson, designed a “cachet,” a special rubber stamp featuring a tree and lettering that said “From the Little Town of Bethlehem, Christmas Greetings.” New cachets have been added almost every year since. Over 70 designs are now available and nearly 200,000 cards are mailed each year from this small post office. Located at 34 East Street, the post office will have extended hours during the festival, Friday from 8 a.m. to 8 p.m., and Saturday from 8 a.m. to 4 p.m.
One of Bethlehem’s not-to-be-missed jewels is open all month. The museum-quality 18th century Neapolitan crèche on view in a vintage barn at the Abbey of Regina Laudis includes hundreds of beautiful hand-carved figures. Made of wood, terra cotta, and porcelain, the figures portray the Holy Family, angels, the Three Kings, merchants and peddlers, children, peasants and farm animals. This fabulous gift from artist and philanthropist Loretta Hines Howard is similar to the one Howard donated to the Metropolitan Museum of Art, where it is prominently displayed every Christmas. A second Crèche, The Lauren Ford Crèche, created by a favorite Connecticut artist, is displayed in a farm shed near the Lower Abbey Chapel. This charming rustic Nativity scene displays figures of Jesus, Mary and Joseph dressed in typical New England garb. The Monastic Art Shop on the property offers crafts, cheeses, jams, herbal teas, flavored vinegars, herbs and honey, and all created on site by the Abbey’s residents. For more information, contact the Western Connecticut Visitors Bureau, PO Box 968, Litchfield, CT 06759, 860-567-4506, or visit www.visitwesternct.com. Cruise.com, a subsidiary of Omega World Travel, Inc. and one of the Internet’s leading cruise sellers, announces its annual Black Friday sale, delivering the industry’s best values on cruise vacations, which will run from 8AM on Friday, November 29 through Monday, December 2, 2013. This annual sales event features incredible offers including reduced rates, up to $1,500 onboard credits, complimentary upgrades, complimentary shore excursions, free gratuities, kids sail free, and special “2 for 1” rates. Plus guests can enjoy 50% reduced deposits and reduced airfares on select cruise lines. Fifteen of the world’s largest and most popular cruise lines are participating in the event including Azamara Club Cruises, Carnival Cruise Line, Celebrity, Costa Cruises, Crystal Cruises, Cunard, Disney Cruise Line, Holland America, MSC Cruises, Norwegian Cruise line, Oceania Cruises, Princess Cruises, Royal Caribbean, Silversea, and Viking Cruises. Cruise.com’s upcoming sales event will also feature unprecedented savings to a wide variety of areas throughout the world, including the Caribbean, Alaska, Europe, South America and Asia. This year’s sale also comes at the end of an exciting year for Cruise.com. They recently moved their headquarters and expanded their facilities to include a welcoming reservation center, new event space and a new, state of the art television and video studio. Space for these cruise deals is limited and will be offered on a first come first serve basis. To book these deals call 866-401-0895, visit http://www.cruise.com or download their mobile app in the iPhone App Store, Android Marketplace, and the company’s website. 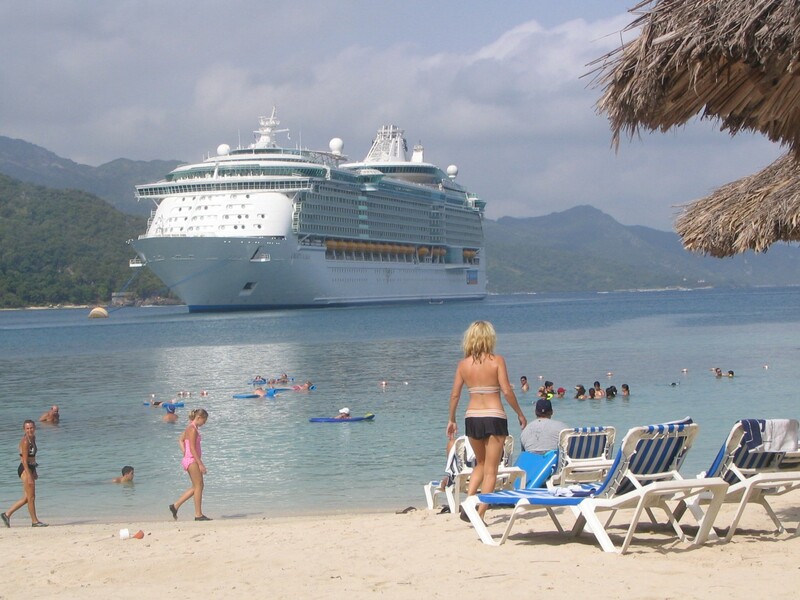 Take advantage of the Thanksgiving family gathering to plan a 2014 Royal Caribbean International cruise. Royal Caribbean is mounting an extra special three-day WOW Sale, December 2-4, 2013, when vacationers can receive up to $200 onboard credit per stateroom and enjoy 50 percent reduced deposit at the time of booking. You can apply the onboard credit toward celebrating a special occasion in one of Royal Caribbean’s signature specialty restaurants; trying completely new experiences on a Royal Caribbean shore excursion; rejuvenating body and mind with a Vitality Spa treatment; or simply sampling the Cocktail of the Day on every Royal Caribbean vacation day. For all new individual bookings, made from December 2 through 4, 2013, and for all sailings (excluding Quantum of the Seas) departing on or after January 1, 2014, vacationers can enjoy 50-percent reduced deposit at the time of booking and receive up to $200 onboard credit per stateroom to spend during their cruise. Eligible guests will receive $50 onboard credit per stateroom for itineraries of five nights or shorter, $100 onboard credit per stateroom for itineraries ranging from six to nine nights, and $200 onboard credit per stateroom on itineraries of 10 nights or longer. More information, and additional terms and conditions will be available at http://www.RoyalCaribbean.com/WOWSale on Nov. 29, 2013. To celebrate the holiday season, the New-York Historical Society is exhibiting nineteenth- and twentieth-century toys from the permanent collection. The display will include a whimsical selection of cast iron, tin, and carved wooden toys and banks made between 1850 and 1945. 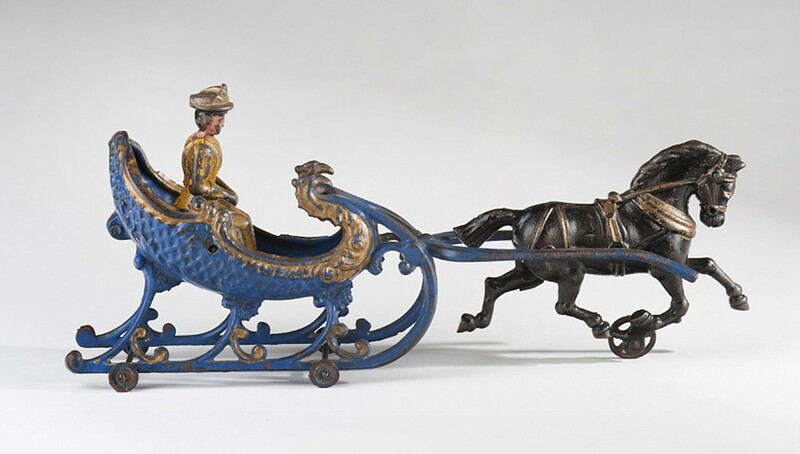 To celebrate the holiday season, the New-York Historical Society is hosting Batteries Not Included: Toys and Trains exhibit of 19th and 20th century toys from the permanent collection. The display will include a whimsical selection of cast iron, tin, and carved wooden toys and banks made between 1850 and 1945. Among them will be still and mechanical banks, wind-up, pull, and clockwork toys, toy soldiers, and a medley of trains, all topped with a Statue of Liberty still bank made between 1885 and 1920. 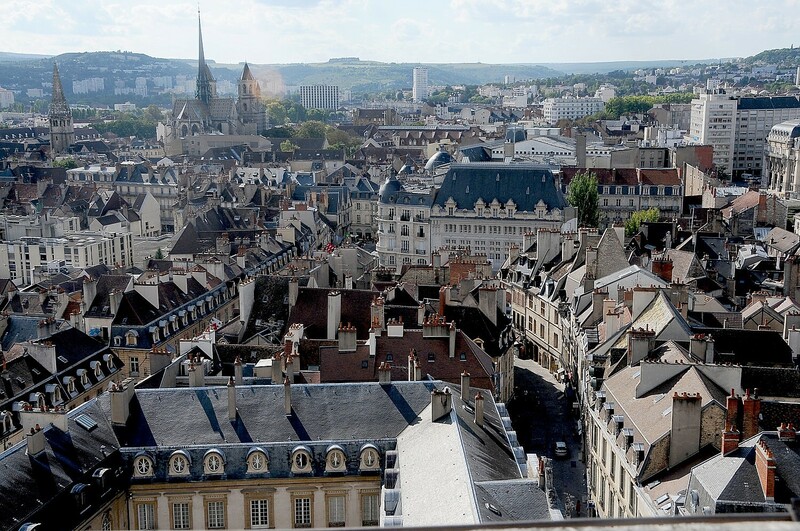 The display is on view Nov. 26, 2013 – Jan. 5, 2014 (Tues.- Thurs, Sat. : 10 am-6 pm, Friday: 10 am-8 pm, Sun. 11 am-5 pm. ; A/$18, C (5-13)/$6; Teachers/Seniors/ $14; Students/$12; pay as you wish Fridays, 6-8 pm). Special Events: Historical Train Weekend (Dec.14-15, 1-3 p), Kids 3-6 meet Conductor Bob, hear tales of the rails, and create their own engine car, caboose, or anything in-between. And don’t forget to find all the eye-spy details in the amazing toys and trains on view in the New-York Historical Society’s holiday installation. Locomotive with author Brian Floca (Dec 14, 3 pm), Kids 3-10 will hear about Brian’s research, writing, and illustrating process, and will learn new facts about trains, steam engines, and the construction of the railroad. On Sugartooth Tours’ annual Union Square Holiday Market Dessert Tour visitors can literally taste the holidays while visiting some of the most festive and delicious stops that this enclave in New York City has to offer. Come battle the crisp air with a cup of authentic hot cocoa and let your five senses be your guide as you sample homemade holiday delights at every twist and turn. From festive music that rings in the air, to cookies for Santa, no holiday season is complete without taking this memorable tour. Tickets are $50, which includes at least six tastings. 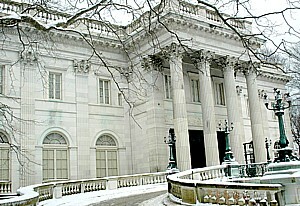 The tour will be running most Fridays, Saturdays, and Sundays at 4:00 pm from November 23-December 22. Check the company’s website calendar for an updated schedule. Each tour lasts between 60-90 minutes and is a little under a mile. Another perk? Tour guests also get to skip lines at each culinary booth stop! For more information on the Union Square Holiday Market Dessert Tour or Sugartooth Tours, visit www.sugartoothtours.com. Cape May’s historic homes sparkle and shine for the holidays during the 40th annual Christmas Candlelight House Tours, sponsored by the Mid-Atlantic Center for the Arts & Humanities (MAC). Tour-goers board heated trolleys and visit as many as 15 homes, inns, hotels and churches, beautifully decorated for the holiday season. Along the way, carolers and strolling musicians impart good old-fashioned Christmas cheer, and hospitality centers offer warm beverages and traditional holiday treats. The 40th Annual Christmas Candlelight House Tours are Saturdays, Dec. 7, 14, and 28 from 5:30 p.m. to 8:30 p.m. Admission is $25 for adults and $20 for children (ages 3-12) and includes entry to the 1879 Emlen Physick Estate, Cape May’s only Victorian House Museum at 1048 Washington St., authentically decorated for a Victorian Christmas and to “An Old-fashioned Christmas” exhibit in the Carriage House Gallery on the grounds of the Estate, as well as continuous shuttle service on heated trolleys. Christmas Candlelight House Tours are limited; advance reservations are strongly recommended. MAC sponsors six weeks of special holiday tours and events from Nov. 22 through Jan. 1, 2014. The Mid-Atlantic Center for the Arts & Humanities (MAC) is a multifaceted not-for-profit organization committed to promoting the preservation, interpretation, and cultural enrichment of the Cape May region for its residents and visitors. MAC membership is open to all. For information about MAC’s year-round schedule of tours, festivals, and special events, call 609-884-5404 or 800-275-4278, or visit MAC’s Web site at www.capemaymac.org. For information about restaurants, accommodations and shopping, call the Chamber of Commerce of Greater Cape May at 609-884-5508. 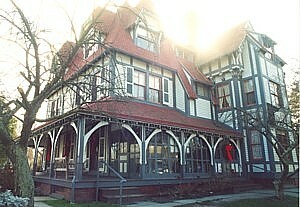 For information about historic accommodations, contact Cape May Historic Accommodations at www.capemaylodging.com. Royal Caribbean International has unveiled 29 new Southeast Asia sailings aboard Mariner of the Seas. Starting in November 2014, Mariner of the Seas will homeport at Singapore and sail three- to five-night itineraries, calling at ports such as Phuket, Thailand, and Penang, Langkawi and Kuala Lumpur (Port Klang) in Malaysia. A special seven-night itinerary, departing February 11, 2015, will overnight at Bangkok (Laemchabang), Thailand, and call at Ho Chi Minh City (Phu My), Vietnam. 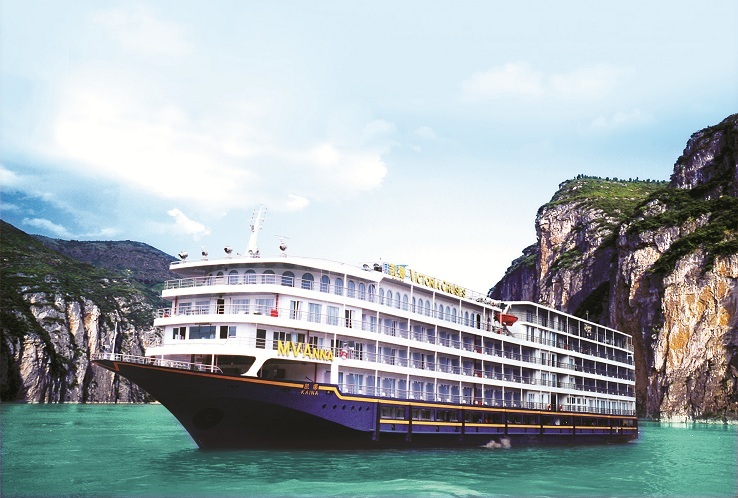 Mariner of the Seas’ winter season will conclude with an eight-night itinerary from Singapore to Shanghai (Baoshan), China, departing on March 7, and featuring an overnight at Hong Kong with calls at Ho Chi Minh City (Phu My) and Xiamen, China. Mariner of the Seas is among six Royal Caribbean ships that exclusively feature the DreamWorks Experience at sea. Guests can partake in parades, themed activities and other onboard events based on DreamWorks Animation’s popular feature-film characters, including Po of “Kung Fu Panda;” Shrek and Fiona of “Shrek;” and Alex the Lion, Gloria the Hippo, and the Penguins from “Madagascar.” The ship also is equipped with a 3-D movie theater playing the latest DreamWorks Animation films. Royal Caribbean’s younger guests can enjoy an exhilarating line-up of activities, games and adventures rooted in the popular DreamWorks Animation films in the complimentary and award-winning Adventure Ocean children’s program. Guests of all ages can meet their favorite characters over the DreamWorks Character breakfast in the main dining room and take advantage of plenty of photo opportunities throughout the day. Additionally, guests can tune-in to DreamWorks Animation programming on a dedicated RCTV channel in every stateroom. Guests also enjoy the industry’s largest and most premium selection of duty-free shopping, including the first standalone IWC Schaffhausen boutique and the largest luxury and fashion watch store at sea. The ship’s Casino Royale offers more than 30 table games and nearly 300 slot machines throughout the 9,600 sq. ft. space. Additionally, high-rollers have exclusive access to parlors for high-stakes gaming in comfort, style and privacy. Mariner of the Seas is one of Royal Caribbean’s Voyager class of ships, which first introduced the active cruise vacation concept. The ships feature iconic Royal Caribbean International amenities such as the rock-climbing wall, ice-skating rink, a nine-hole mini-golf course, full-size basketball and sports court, and the Royal Promenade, a boulevard that stretches nearly the length of the ship and is flanked by restaurants, lounges and boutiques. As a truly global cruise brand, Royal Caribbean International caters to an international clientele and deploys its cruise ships throughout the world. On Mariner of the Seas’ Asia cruises, Royal Caribbean offers a culturally enriching cruise experience, in which vacationers will find that the majority of fellow guests are from the Asia-Pacific region and speak languages from the region. While guests will enjoy a more authentic regional experience, including additional onboard choices that reflect the region’s tastes and flavors, English is always spoken by the ship’s staff and crew. For additional information or to make reservations, vacationers should call their travel agent; visit RoyalCaribbean.com; or call (800) ROYAL-CARIBBEAN. Follow on Facebook at Facebook.com/RoyalCaribbean or on Twitter @RoyalCaribbean.